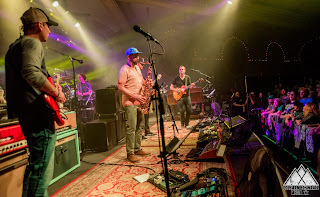 The arrival of Umphrey’s McGee to the Pacific Northwest was accompanied by breaking clouds and sunny skies. The band’s notable absence from the Seattle and Portland music calendars last year, combined with their phenomenal previous foray to the region (2016, which to these listener’s ears contains the best Seattle show the band has ever done), made for a hot ticket. This tour, supporting the band’s January-released latest album, it’s not us, was not only the band’s first sellout in Seattle, or the first time the band had sold out both nights of their Portland run, but the first time the entire run of PNW shows were sold out. Besides the great weather, the band was also accompanied by The Russ Liquid Test. Going in, I knew next to nothing about the New Orleans-based trio. Full disclosure: the Tuesday before this run, I streamed one of RLT’s previous shows and found the music at odds with the band’s self-described philosophy. The set seemed geared less towards classic funk (of which I am a big fan) and more towards EDM (which is not as much to my taste). Luckily, I found my live experiences of RLT more enjoyable than this initial exposure. All three members are talented musicians. Drummer Devin Trusclair is clearly enjoying himself as he lays down his beats, while guitarist Andrew Block pulls blistering guitar solos straight out of the ether. I loved his guitar tone, and thought it fit perfectly with the multi-pronged approach of Russ Liquid (moniker of frontman Russell Scott). Scott alternated between tenor saxophone, trumpet, keys, synthesizer, and vocoder throughout the sets. He relied on looping passages to build ever more complex foundations for new ideas. Some of my favorite sections were reminiscent of old house or quiet storm, complemented with Tower of Power-esque cool chromatic blasts from the horns. This, combined with Trusclair’s drumming and Block’s instinctual playing, really evoked the band’s intent to marry vintage funk music with modern dance music. The inclusion of horns and vocoder were very welcome, and I thought could be employed more often. There were periods where the music sounded like a phenomenal foundation to back a guest vocalist, but needed a bit more on its own. Overall, the addition of vocoder or saxophone added a dimension that was not present in their absence. Secondly, and this is less a reflection of Russ Liquid Test’s ethos than it is of the crowd, it seemed as though at times they were the right band for the wrong crowd. This seemed especially true in Seattle. 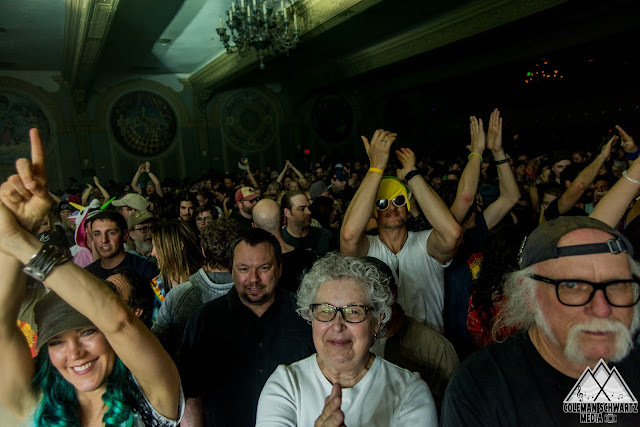 It’s one of my main criticisms of my adopted hometown: music fans here seem quite fussy, and some of the crowds at other jam/funk/groove shows belies the town’s musical reputation. The sellout made me extra excited for this show – there’s a certain pride with seeing some hometown representation. After a 6-year detour to the Neptune and Moore Theaters, this would be the band’s return to the 1000 capacity Showbox, right across from iconic Pike Place Market. I was curious to see how they would respond – would they bring a loose feel resulting in extensive jam sections, or favor more of their high-energy originals to rile the crowd up? The opening “jazz odyssey” is one of the most unique things the band does – the lights go down, a pre-recorded piece of music accompanies the whoops of the crowd, and the band files on stage and gradually replaces the recording. 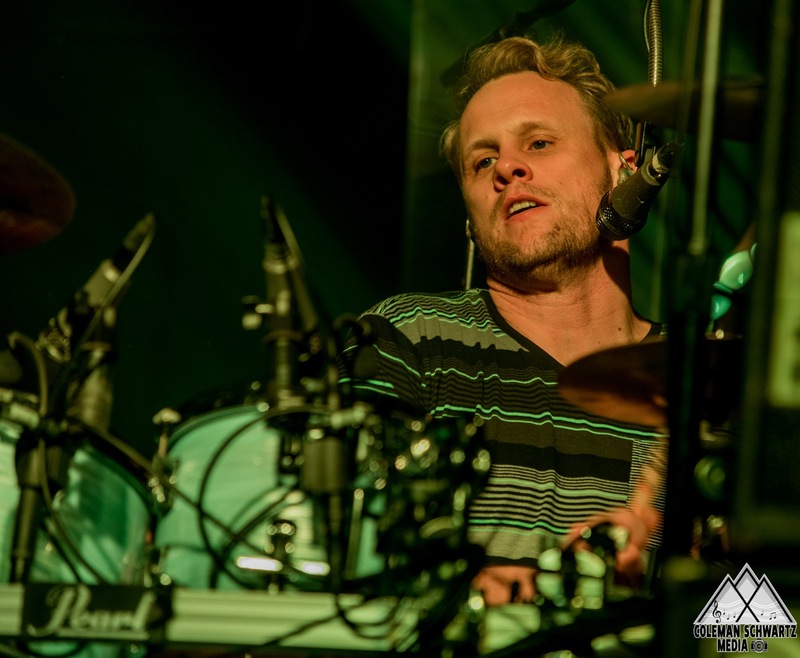 Tension building is something Umphrey’s does as well as any band in the scene, and these odysseys, a mainstay of UM’s shows since 2011, provide both the band and audience an invigorating transition into the show. 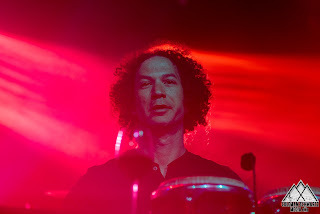 From this, the sextet transitioned into the opening of “1348,” a staple of the band’s setlists since its debut on 2009’s Mantis. The jam out of the song served as a perfect introduction of each member to the audience. Guitarists Brendan Bayliss and Jake Cinninger harmonizing riffs gave way to a groove cemented by bassist Ryan Stasik, before the mantle was passed to drummer Kris Myers and percussionist Andy Farag, who treated the crowd to a fervent, syncopated drum duet. As the band returned to the groove, keyboardist Joel Cummins took the lead on his Moog. The band threw a curveball by launching into “Loose Ends” – one of their more introspective songs, to which the audience responded positively. The set continued into a personal favorite of mine, “The Fussy Dutchman.” Anchored by blindingly fast descents down the keyboard/fretboard by Cummins and Bayliss, by the time the band gave the audience a breather, Bayliss built to another furious solo. The band continued to oscillate between high and low energy songs for the remainder of the set. “Hajimemashite” built from Bayliss singing over a simple guitar line, and bled into “Hurt Bird Bath,” characterized by a furious avalanche of hammer-ons and pull-offs from Cinninger and Bayliss. The set ended with two songs from the latest album, “Forks” and “The Silent Type.” The latter tune is built off a piece of improvisation the band has been polishing on-stage for years, has already been a jumping off point for high-energy improvisation, and tonight provided a short peak of dueling guitar lines. I’ll admit, I found the setlist so far one of the odder ones I’ve seen. The group never seemed to settle into a groove. Luckily, the second set loosened up, with correspondingly longer song lengths, and it provided my favorite jam of the weekend. While the opening “40s Theme” contained a rare jam section, and the crowd ate up the dance-y cover of Mark Ronson’s “Daffodils” (anchored by Myers’ soulful vocals), it was the “Night Nurse” that was the highlight. The song, with a house backbone, eventually bled into a jam based on Miami Nights 84’s “Sunset Cruise." This synth-heavy uplifting song continued to build and feed off the crowd, and the band only stopped the groove when they were finished with it. The roar of the crowd embodied our appreciation. We headed to Portland in the thick of the night in preparation for the band’s two-night residency at the Crystal Ballroom. The 1500-capacity room has a long history in Portland, and features a floating dance floor. It is slightly disconcerting at first, but the bounce is a unique experience (we’ll get back to this later). Friday’s showing was the strongest of the run. 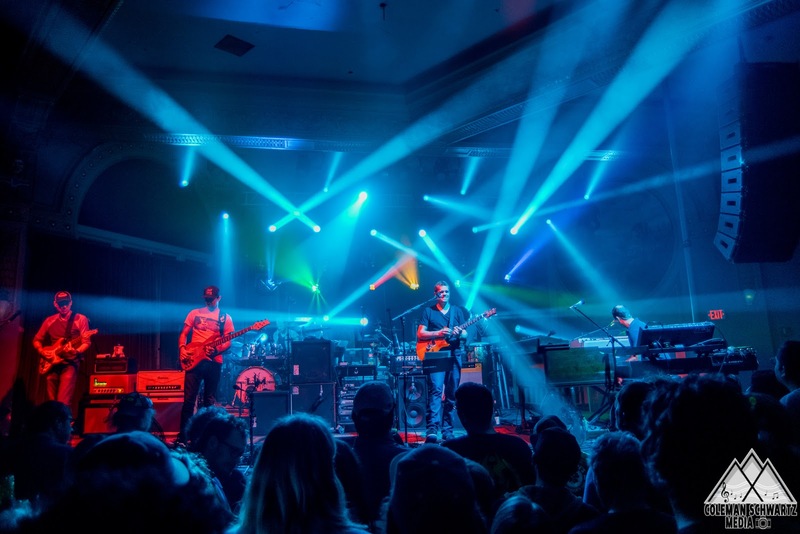 “In the Kitchen” started with Cinninger running up and down a scale, before the jam devolved into a tribal funky beat, which barreled into a peak accentuated by lighting designer Jefferson Waful. As always, Waful’s lighting rig and designs provide the extra oomph to the live experience. Both he and Stasik were on point all night – at least four people came up to me during the show raving about Stasik’s basslines. His control of the lower ends of UM’s sound is unheralded. In a band with Cinninger’s effortless fretboard-melting runs and Myers’ furious drumming, Stasik’s stable lines help propel Cinninger, Bayliss, and Cummins to new heights. He proved this throughout the latter portion of the set. “The Crooked One” led into a murky groove that slowly morphed into a pleasing jam initiated by Cummins’ organ. 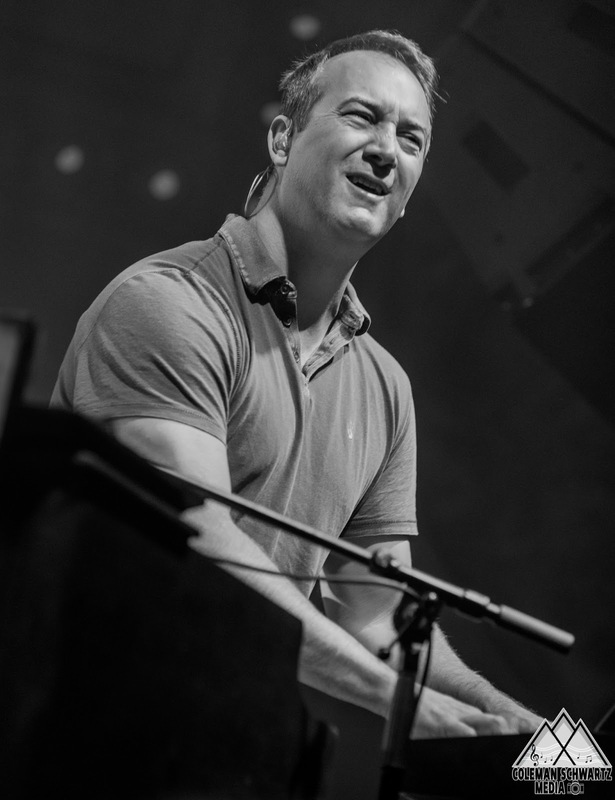 “August,” one of the oldest songs in the band’s catalog, holds sentimental value in my heart, as it opened my first Umphrey’s McGee show in 2007. While I’ve grown used to the happy, major-key jams this song spawns, tonight’s version was flavored by something a bit funkier. I was thrilled to see the set close with “Out of Order.” While setlists vary night to night, I think I could be satisfied to see this song every night – the build is sublime, and the opening theme’s sweet riff spills down the fretboard like honey. The song’s 6/8 time signature sharpens into a 4/4 theme that the band effortlessly jumps into and out of as they transition into the ending. 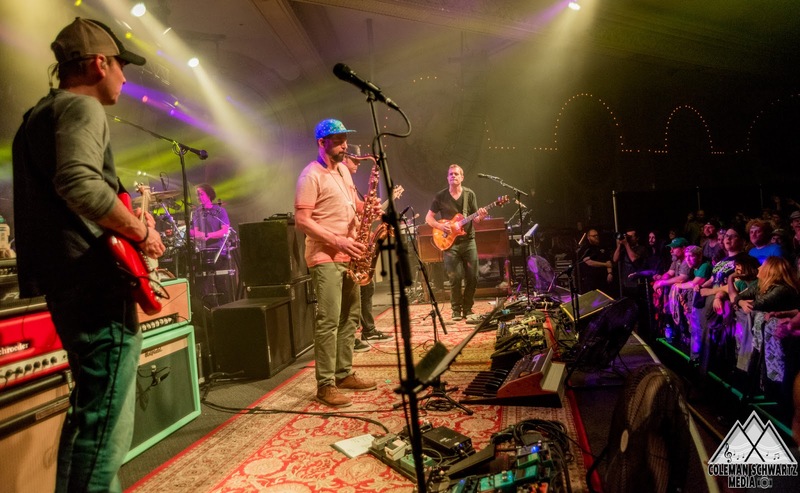 The opening to the second set continued with more songs of a late 90’s vintage – “All in Time,” Umphrey’s signature song, led into long exploration of an extensive dance jam that contained strong contributions by each member. This progressed into a “2x2,” which melted into “Nothing Too Fancy.” The long intro is revered by fans for its high energy, and the final payoff of lights and frenetic riffing had the crowd going absolutely nuts. As Cinninger’s blistering solo led into the usual jam section of the song, you could feel the anticipation build. Instead of dissolving into the traditional jamming, the group instead started playing the distinctive opening notes of Ween’s “The Grobe.” Watching the response of the band to the crowd’s increasing fervor is part of the reason I continue to see this band year in and year out. 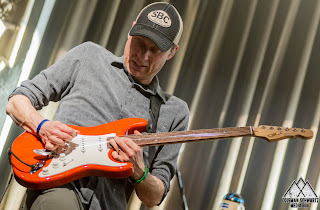 The set ended with two more songs from the new album – "Dark Brush," which prompted Cinninger’s 7-string guitar making a rare appearance, sounds almost exactly as its name suggests, while “Piranhas” is a more upbeat number. This transitioned into the up-tempo ending of “All in Time,” with its unique Rainbow Road-esque harmonizing guitar riff featuring Cinninger and Bayliss intertwining like snakes. The crowd roared as the band left the stage, and their return brought an unexpected arrangement, as Cinninger sat at the keys and Farag assumed Myers’ usual throne. 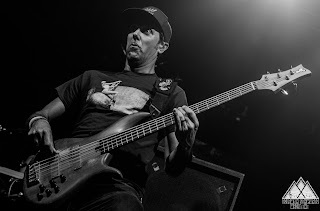 With Stasik and Cummins on guitar and Bayliss on the bass, Myers took the forefront in launching the band and crowd into the Beastie Boys’ rowdy “Sabotage.” Arms were flying in the air as every audience member tried to shout down his or her neighbor. It would be premature to assume that, even after this amazing showing, Portland had had their Umphrey’s fill. A greener-clad (and tipsier) motley crew assembled once again at Burnside and 14th Ave for a repeat performance on St. Patrick’s Day. (At least about as repeat as you can get at a jam show.) In lieu of a pre-recorded opening, the band launched straight into one of its newer songs, “Attachments.” Given the song’s frequency (many fans were shocked it does not make an appearance on it’s not us) and the so-far absence of a jam section, opinions of the song are mixed, but I personally enjoy the harmonizing duet of Bayliss and Myers, and the lyrics about… well, take a guess. This transitioned into “Smell the Mitten,” which featured the jam of the night. It featured a jam powered by Stasik, sharp staccato riffing from the guitars, and Cummins on the synthesizer. The jam organically evolved, slowly and patiently, into a sublime peak. “The Triple Wide” was another highlight of the set. The song begins with e-drums, but the groovy jam was highlighted by Farag’s syncopated conga playing. The song transitioned into another personal favorite of mine, “Ocean Billy,” before the band invited Russell Scott onto the stage with his tenor saxophone for a rendition of Herbie Hancock’s “Hang Up Your Hang Ups.” Scott worked artfully to fit into the band’s sound, and his solos sandwiched Cummins’ improv. After opening the second set with the new song “Maybe Someday,” UM dove into the current jam vehicle du jour, “Draconian.” Opening with a riff dragged straight from the primordial muck, it’s delicious evilness eventually evolves into a wistful outro yearning to ameliorate failed expectations. In 2017, the band consistently bridged the two disparate sections with wide-ranging improvisation, and tonight’s version was no different – all members built around Cinninger’s chug. The encore contained an extended cover of Prince’s “1999.” I love Prince, and given Umphrey’s reputation for tight, faithful, and impressive homages to other artists, I was thrilled to finally catch this tune. The extended jam of Miles Davis’ “It’s About That Time” was just icing on the cake. As we headed downstairs and I began to say my goodbyes to the friends whom I might not see again until once again under Waful’s lights, I began to reflect on the run and why I continue to see this band again and again. 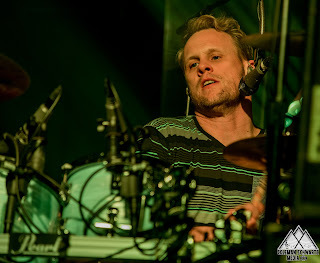 A song early in the first set highlighted one of the things I love about Umphrey’s. After playing a Ween song the night before, UM’s own satirical side manifested in “Nopener,” the band’s smirking take on thrash metal. I suspect the band is aware of the next level of irony – since Umphrey’s McGee is more willing than other jam bands to flirt with some of the heavier, metallic elements of music’s periodic table, some of the band’s detractors find the song completely serious. Those fans are 100% missing out. 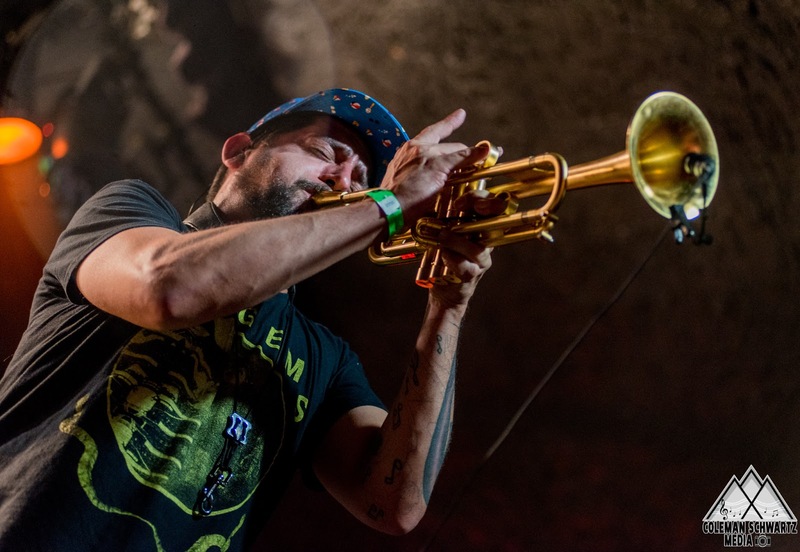 If the point of improvisation is to let the music lead the way, shying away from music that skirts around certain genres only seems to undermine the musician’s arsenal. 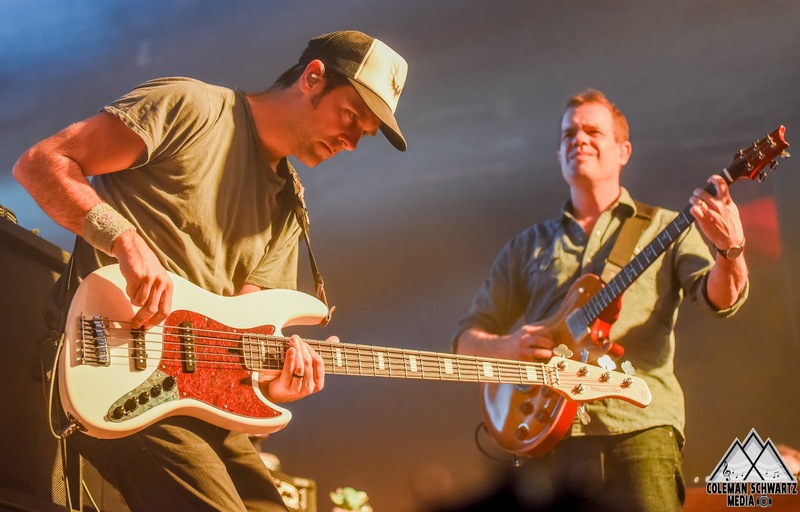 Umphrey’s makes no effort to hide their infatuation with metal, and many jams lead places other jam bands fear to take their audiences. Umphrey’s marches bravely into heavy territory, and I am grateful for it. Cinninger and Myers are the eye-catching aspects of the band. Both are arguably among the best alive today on their respective instruments. You can rely on them both to leave you in awe at their almost inhuman skill. But the heart and soul of the band runs through Bayliss, and I’d argue that his soloing during this run was some of the best I’ve ever heard. For a tour based on their new album (and they certainly displayed the album prominently, as all songs but one made it into the four-night run including these 3 shows and Missoula), the group played many of their older songs, which consistently feature Bayliss’ improvisation. 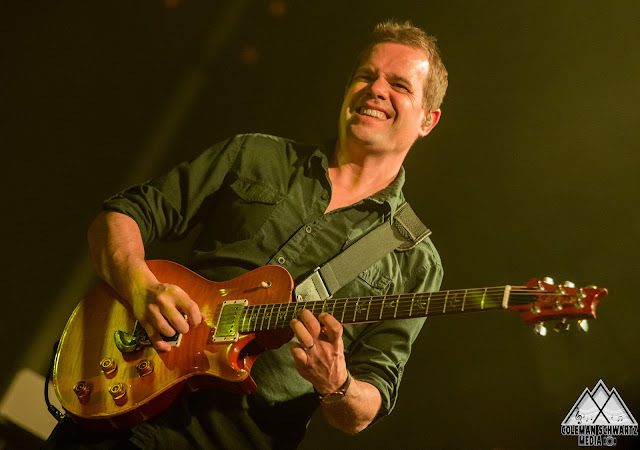 The dueling guitars are a trademark of UM’s sound, but the two musicians approach their improvisation differently – Cinninger hops effortlessly around the fretboard, but Bayliss soulfully digs into his notes, the emotion pouring evidently from his face. His efforts in the weekend’s songs were phenomenal. There were definitely nitpicks I thought of throughout the weekend – wishing the band had played a certain song (e.g., “Last Man Swerving”), had avoided certain others (e.g., “Upward”), had not taken jams in certain directions (e.g., “Ocean Billy” was doing fine at first). But you know what? – this is more a reflection of me than of the band. If I think I’ve earned the right to nitpick one of the tightest bands around today (and I haven’t), it’s only because I’ve been spoiled by their consistently amazing shows. I’ve opened my wallet widely, slept on floors, driven 8 hours in the middle of the night without sleep, forgotten the name of the city I’m in, and made a fool of myself more times than I can remember. But in return, following Umphrey’s McGee has repaid me handsomely. It’s my constant reminder to think less and experience the moment more. Which might be my cue. See you on the road!